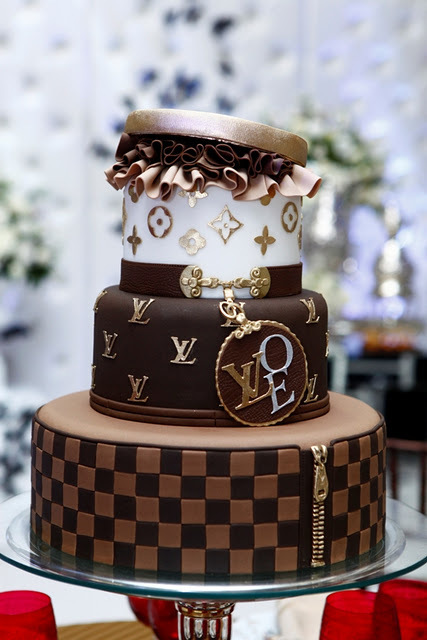 If you're the type of girl that loves designer shoes and handbags just as much as I do, then you will absolutely love this Louis Vuitton cake. 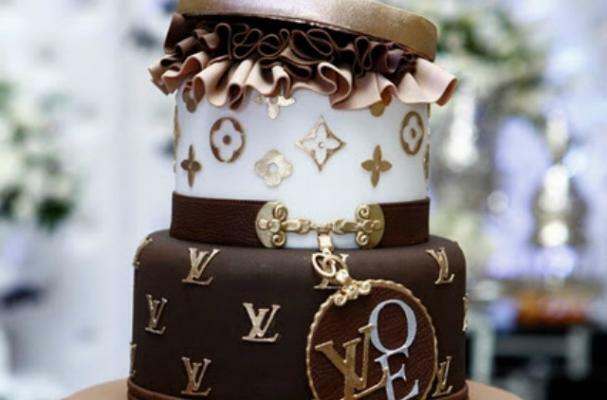 The three-tiered fondant cake is covered in Louis Vuitton's signature logo, and even has a few surprises like edible charms, a zipper and a few ruffles just for fun. Where can you get this cake?? Did you use edible paper for the logos and if so where can I find them?